was inaugurated on 31 October 2008 on La Gomera. 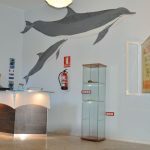 With perfect timing, during MEER’s 2008 10th anniversary, we reached one of our main goals: the establishment of an interpretation centre on dolphins and whales on the island of La Gomera. 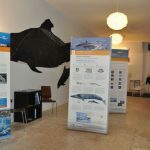 The tri-lingual exhibition (E/ES/D) informs visitors with nine large banners (see example on the right side) about issues like whale watching, threats to cetaceans, the significance of the Canary Islands as their habitat, and much more. 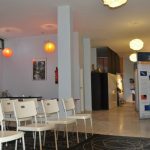 Additionally, MEER’s scientific studies and their main results are presented. 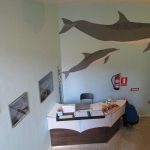 Maybe the most important section is dealing with the possibilities of how everyone can contribute personally to marine conservation. 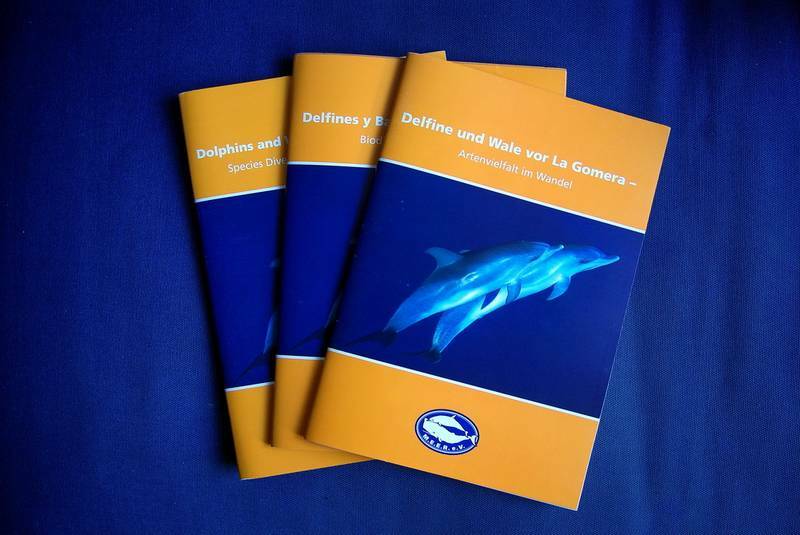 An outlook towards the future of the Canary Islands’ cetaceans completes the overall picture. Moreover, visitors will find a large number of posters including MEER’s scientific posters which were presented at different international conferences, symposia, etc.. 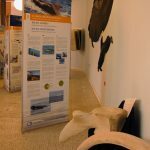 Within the exhibition room, you can listen to original sounds from wild spotted dolphins, bottlenose dolphins, pilot- and humpbacks whales and others. 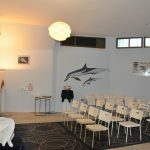 Moreover, we continuously present films or the MEER slide show, dealing with the seas, their organisms and the threats by humans. 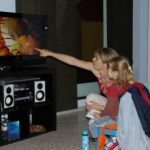 During the inauguration day, many visitors put the opportunity to watch films in the additional presentation room to good use. 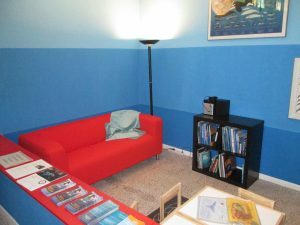 Finally, there is a small but fine library lounge with different books for adults and children as well as a complete collection of MEER’s scientific articles and publications. There are also various activities offered to children. 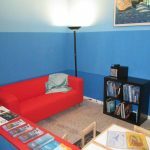 Besides a variety of children’s books we have elaborated a special quiz with 15 questions which may be solved by attentively taking a look around the exhibition. Pictures to colour and paper models for little children are available, too. 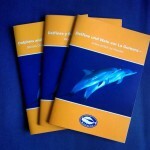 A corresponding brochure has been produced by MEER. This 54 pages brochure again is available in three languages. It represents the contents of the exhibition in more detail in nine chapters. 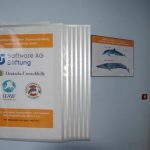 It also can be used as a personal guide to “marine conservation at home“, because one can find many hints and tips how everyone can change his behaviour so as to protect the seas and whales and dolphins. 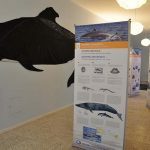 Furthermore, our partner IFAW is presenting a special banner on the issue of noise pollution in the seas and additional information leaflets can be obtained. M.E.E.R. 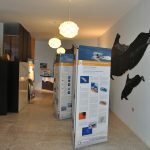 is very proud of having realized this exhibition and wants to thank all supporters who have contributed to this project, comprising both individuals as well as institutions. Thank you very much! 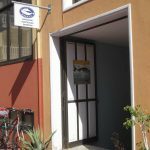 A special thanks to OCEANO Gomera for enabling the exhibition in their rooms.